In Color Order: To Market, to Market! Happy Tuesday! Putting the final stitches on a few projects before making my way to International Quilt Market in Pittsburgh tomorrow! 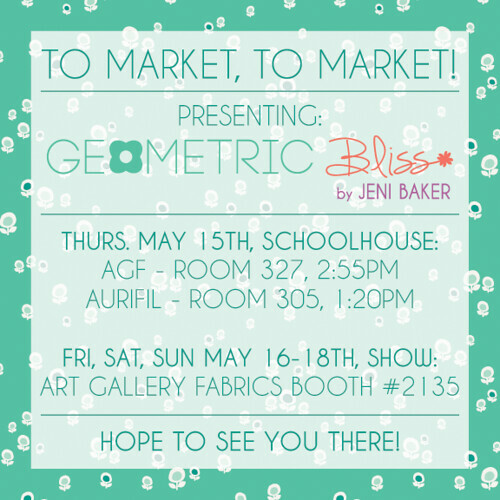 I'll be showing my new collection with Art Gallery Fabrics, Geometric Bliss, as well as my Favorite Things thread collection with Aurifil Threads! If you're attending the show, I hope to you'll stop by! Follow along on Instagram (@jenib320), Twitter, and Facebook! I'll be posting throughout the week! I am leaving tomorrow too but I get in super late... will see you Thursday. Have a safe trip! Have fun! Wish I were going too! Have lots of fun! I love your new collection - and I especially love that there are knits and voiles too! 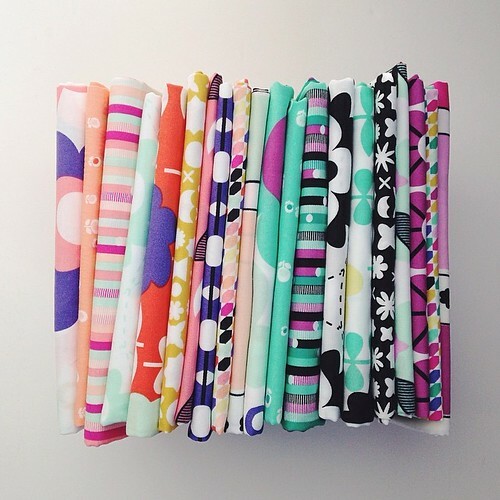 I'm looking forward to sewing with them. Put lots of pics on IG. I just started following you.